We spotted this superb example of a beauty promo gift by Estée Lauder. 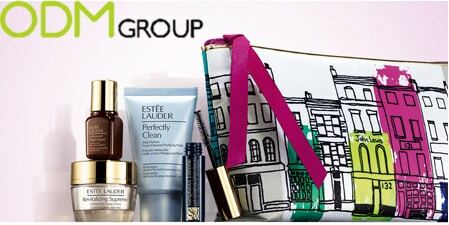 Customers simply buy at least two Estée Lauder branded cosmetics in John Lewis to receive a beauty promo gift . The promotional gift with purchase is used to celebrate the 150 year anniversary of the department store. For customers to receive their promotional gift they must purchase two Estée Lauder products. With one at least being a skincare or foundation product. Customers receive a gift with purchase. It consists of a variety of cosmetic products from Estée Lauder. It includes Advanced Night Repair, Blusher to even Mascara. An exclusively designed collectible make up bag is also given. The unique design of the make up bag commemorates the John Lewis Oxford Street store. This promotion has currently run from the 24th of July to the 9th of August. 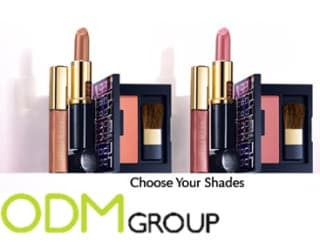 Estée Lauder have been able to increase their sales using this strategy. Simply needing to purchase two beauty products to qualify for the cosmetics promo gift has done it. The free beauty samples also let the buyer to try out the product without any monetary risk. In future they may be likely to re-purchase these samples. The unique commemorative bag is made of high quality materials and is likely to be reused. The bag is also of a useful size to store all make up materials. Being a timed limited edition make up bag it is also a collectible. The user may also associate the make up bag with Estée Lauder brand and may be more willing to purchase these products in future. Synergising their marketing with John Lewis has also most likely benefited both companies well with greater brand awareness. Customized beauty case with Marie Claire and Agnès b. Just What a Woman Needs as Promo Gifts!